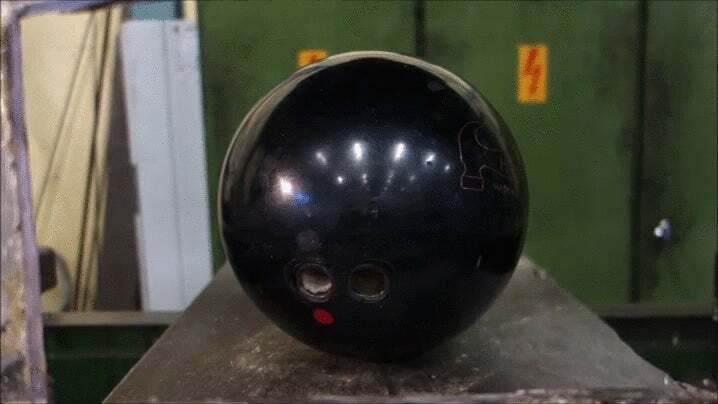 The hydraulic press guys have been compressing all types of things lately, and they have turned their attention to some bowling equipment. The Hydraulic Press Channel is another one of those enormously satisfying online shows where we watch stuff get destroyed. Their latest targets are a bowling ball and some pins, neither of which survive very long.